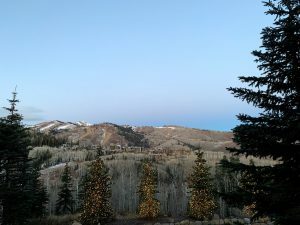 At over 8,000 feet above sea level, the air was crisp and thin in Utah. Sometimes it was downright freezing. A few times there was snow in the air. 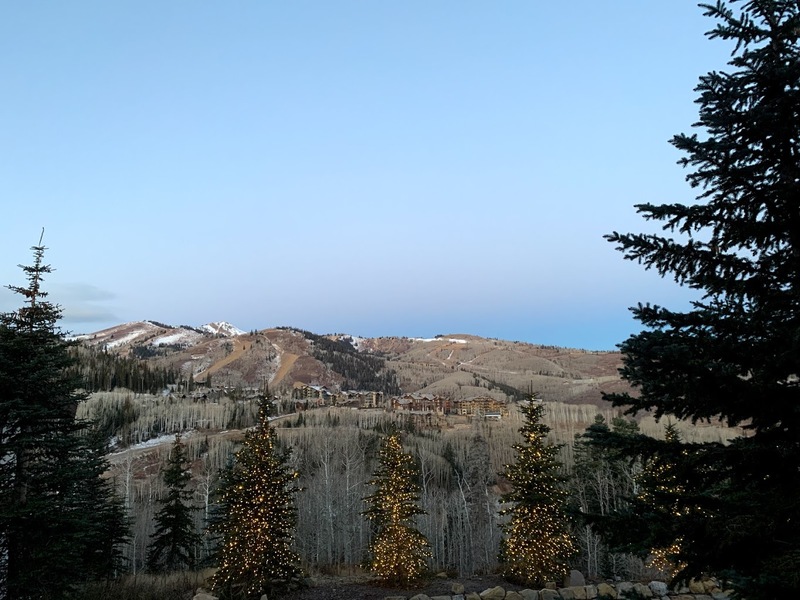 But inside the Stein Eriksen Lodge in Deer Valley, the annual NetDocuments ndElevate conference was warm and full of educational sessions and panels with customers and partners. 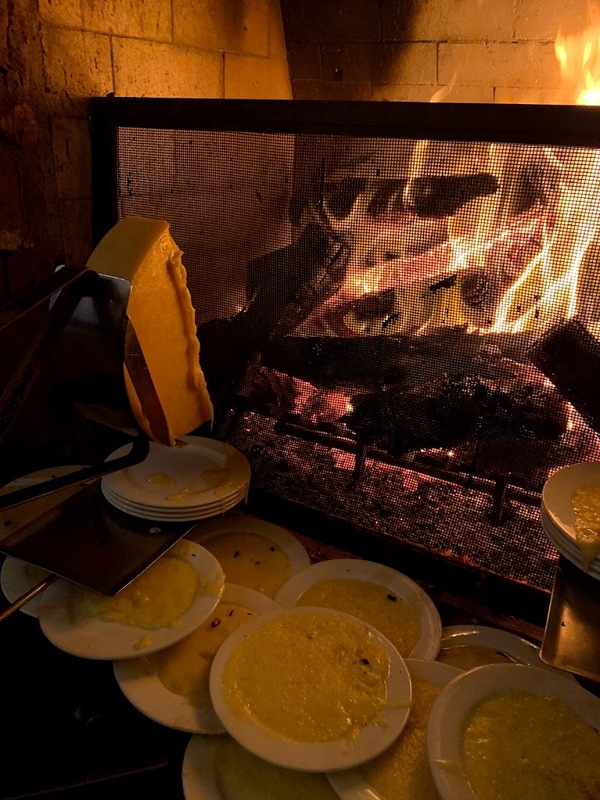 This year, ndElevate ran from November 5-8, with the first two days being a Partner-only event. The third day saw joint partner-customer sessions, and the final day was primarily customers only. This year’s theme was Safe. Proven. Ready. 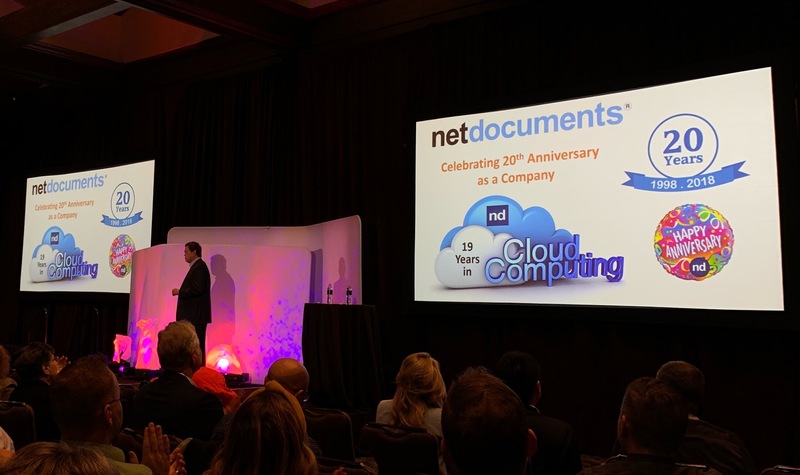 The main keynote, delivered by the always entertaining (and extremely smart) Alvin Tedjamulia, CTO of NetDocuments, provided the many ways that NetDocuments are meeting those three goals. The built-in security, governance, compliance and entropic cryptography/encryption make NetDocuments Safe. The Cloud First, Cloud Only approach of NetDocuments for 20 years, combined with zero security breaches, show that the platform is Proven. The tools and new products introduced this year, ndMail and ndThread, make NetDocuments Ready to enable a productive workforce both in the office and mobile. I think there were three main takeaways from the various sessions led by NetDocuments. The first is the growing adoption of ndMail and ndThread. ndMail, the new predictive email filing solution introduced this year, is now active in 350 repositories, with approximately 2,300 emails filed hourly, and nearly 30,000 predictive filing searches performed hourly. Bradlee Duncan, ndMail Product Manager, announced that the new release of ndMail 1.2 (in combination with ndOffice 2.3) allows a new Outlook Panel Integration, bringing the NetDocuments content easily into the Outlook interface. This feature is off by default, and can be turned on via a registry key. With ndThread, now embedded in a Workspace Tab, threads can be accessed in the same interface as the matter documents and emails. The second takeaway with the discussion of matter-driven Data Loss Prevention (DLP). Firms will be able to creation data classification levels (Secret, ITAR, HIPAA, Sensitive, Restricted, Internal, Public, etc), and then NetDocuments will add a DLP Sheild that will control what can be done to the content with all the NetDocuments products (ndThread, ndSync, Collaboration, ndMail, DM). For example, you can make a rule that all content for a particular matter cannot be emailed outside the firm. When an attorney attempts to send the document, that action would get blocked. The idea is here is proactive security, rather than reactive security. You can protect the user from themselves, as they may not realize they are not allowed to send that content externally. 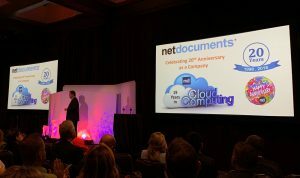 The final takeaway was a bit of news announced on the last day of the conference, when NetDocuments announced their acquisition of a Closing Room solution developed by the firm Chapman and Cutler. This tool will be brought into the NetDocuments platform and should help many firms with assembling closing binders and increase efficiency in the coming year. Many different flavors of partners were in attendance this year, from software providers (such as Workshare, DocsCorp, and Prosperoware) to training providers (Traveling Coaches, EncoreTech, Savvy Training) to implementation partners (hey, that’s me!). In visiting the partner tables and hearing discussion panels, I was happy to learn about the levels of Cloud-to-Cloud services available now. DocsCorp probably has the most transparent Cloud-to-Cloud integration with NetDocuments right now, as DocsCorp is the engine behind the new ndOCR module. Scanned or image-based PDFs are automatically processed and made full text searchable. Workshare also demonstrated their cloud-to-cloud capabilities with Workshare Compare Everywhere, eliminating the need for local installations and integrations. The folks at SeeUnity spoke to me about their latest solutions to help firms synchronize and convert large document repositories from legacy systems to NetDocuments. With the rampant series of mergers, splits, and acquisitions lately, more firms are finding themselves with content that needs to be migrated and consolidated within their NetDocuments repository, and SeeUnity can certainly help there. Overall, ndElevate was a fantastic experience and it’s wonderful to get together with such a great group of partners and customers. Click here to view a recording of our recap webinar with Marriot Murdock of NetDocuments.